Handmade in London's Hatton Garden with a great deal of love & attention to detail & hallmarked by the Goldsmith's Assay Office. The name 'quartz' comes from the Greek word for ice; 'krustallos'. 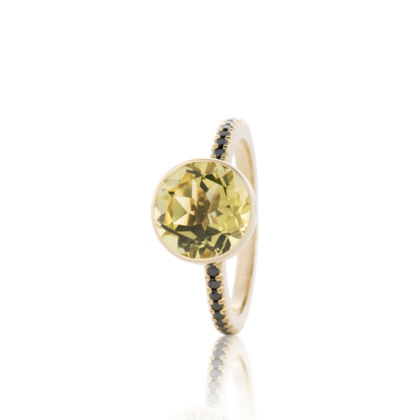 Lemon, obviously English, aptly describes the gorgeous, fresh colour of the stone. A sister of citrine, it's also considered a healing stone.